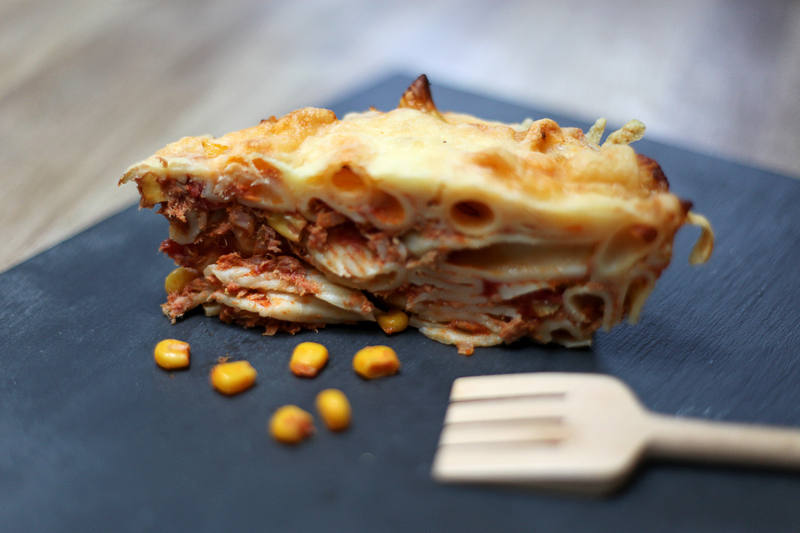 This dish combines two of Lentil’s favourite foods – fish and pasta. So I was expecting it to pass the Lentil taste test with flying colours – surely?? Well actually, it only got the star sticker of approval second time round. I made the first dish using Penne pasta. Fine for adults, but the pasta was just a bit too big for a toddler-sized mouth. The eating of it made more difficult as said toddler hasn’t quite mastered cutting his food with a knife, yet insists on trying everything himself without any help!! Suffice to say it was a very long mealtime and require infinite patience! Lesson learnt I decided to use macaroni on the second attempt. The result was the same delicious taste, but a toddler-friendly eating experience. Big sigh of relief all round! 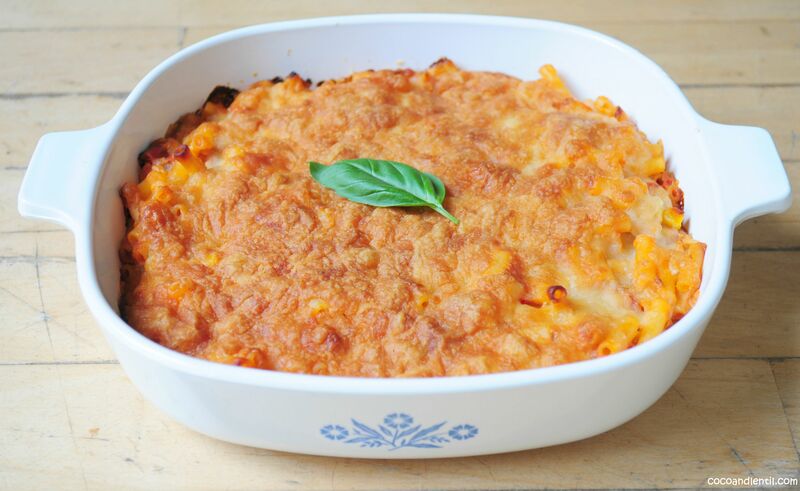 The tuna casserole became popular in the 1950s as a quick and inexpensive meal, which could be made in advance and refrigerated or frozen. Casseroles in the US and Europe usually consisted of meat or fish; vegetables; flour, potatoes or pasta; and a crunchy cheese topping. The traditional tuna casserole was made using tuna, egg noodles, onion, cheddar, peas and a can of condensed soup. Our version has a healthier twist, substituting the condensed soup with creme fraiche and tomatoes, which I think makes a tastier sauce – honestly! 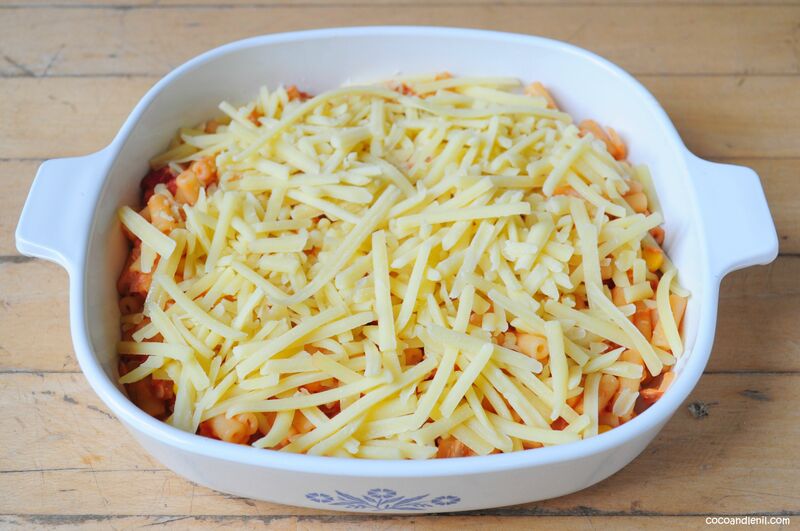 Makes 5- 6 portions using one large ovenproof dish or two smaller ones. Pre-heat the oven to 200 (180 fan). Heat the olive oil in a saucepan and cook the onion for 2-3 minutes until soft. Add the chopped tomatoes, tomato puree, creme fraiche, sweetcorn, oregano and black pepper and cook for 8 – 10 minutes on medium heat. Meanwhile cook the macaroni / penne as per the instructions on the packet. Using a slotted spoon add the pasta to the tomato sauce and mix in the tuna. 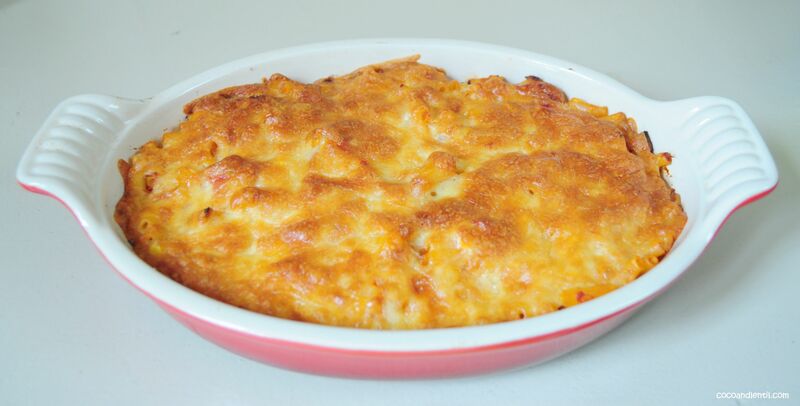 Transfer to an ovenproof dish(es) and sprinkle the cheddar cheese on top. Bake in the oven for 20-25 minutes until golden brown. Interesting recipe! Never thought of putting tuna in a casserole.. Thanks Petra. 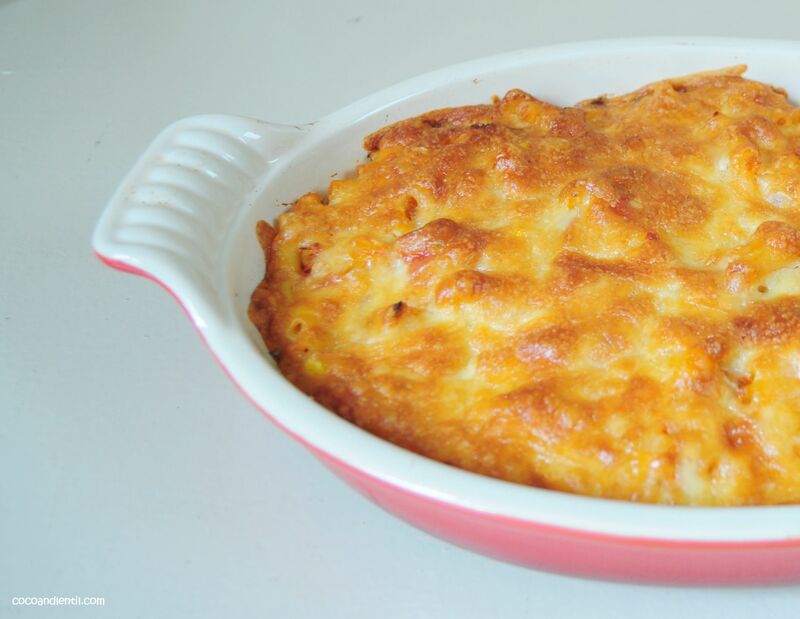 The traditional tuna casserole is better known in modern times as a tuna bake, but you could also try without the pasta and add more vegetables to resemble a more traditional casserole. Will have to try that one out soon!